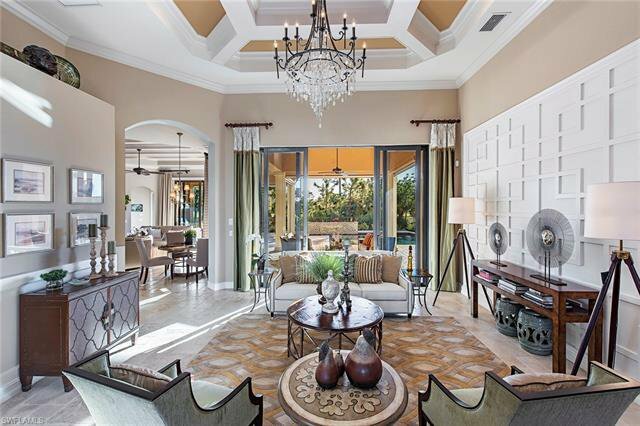 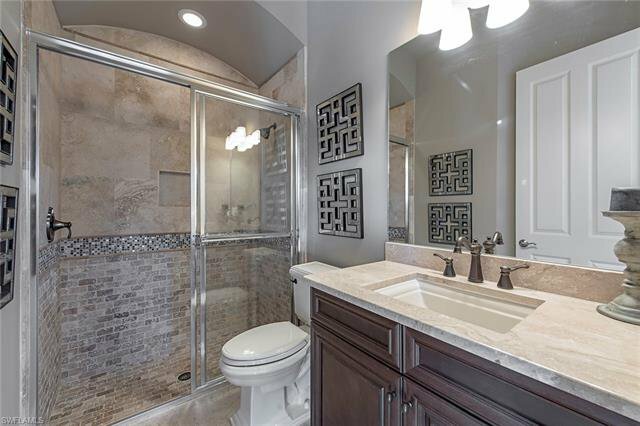 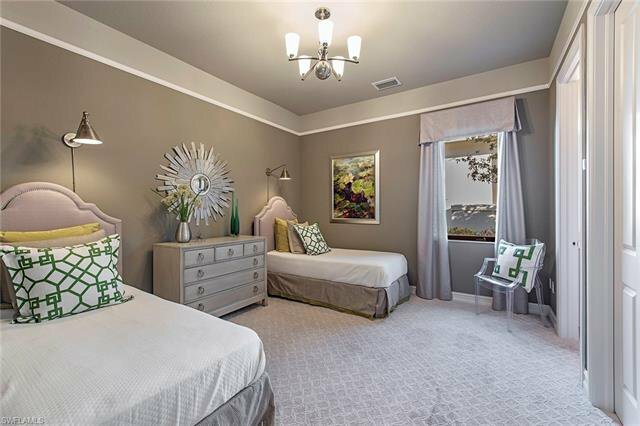 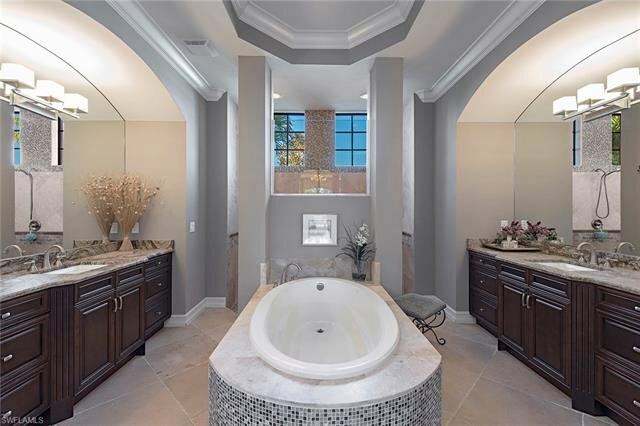 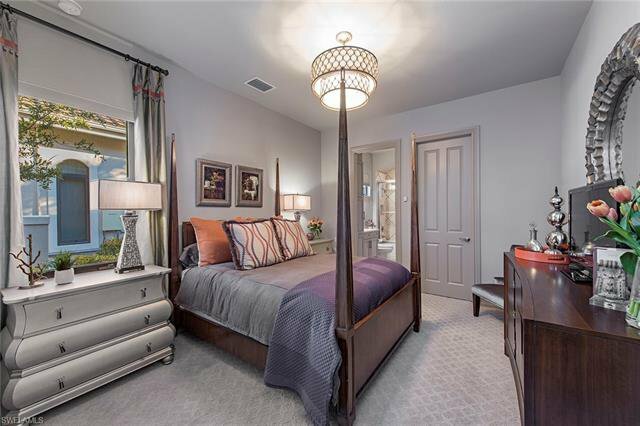 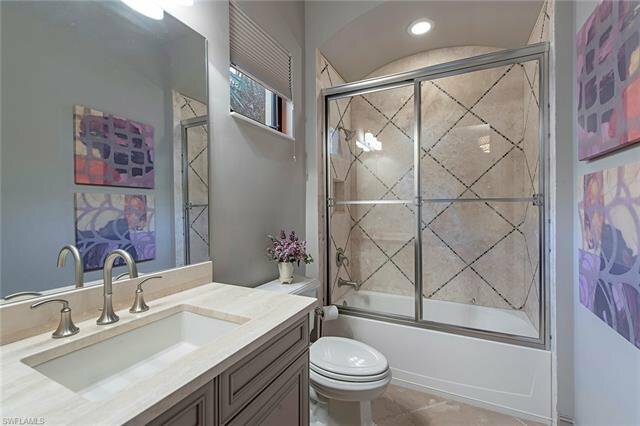 This luxurious, Turnkey-Furnished, former model offers the finest in architectural beauty. 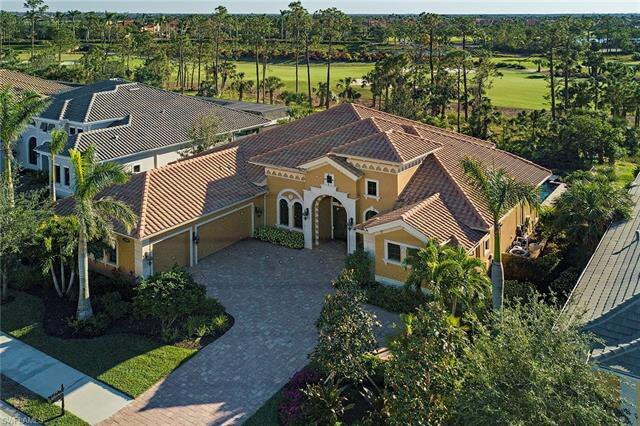 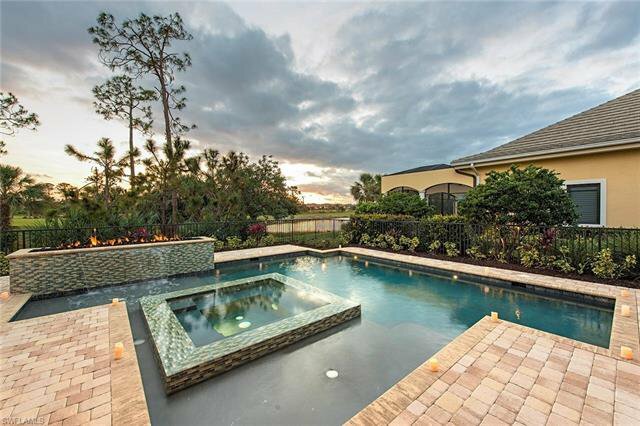 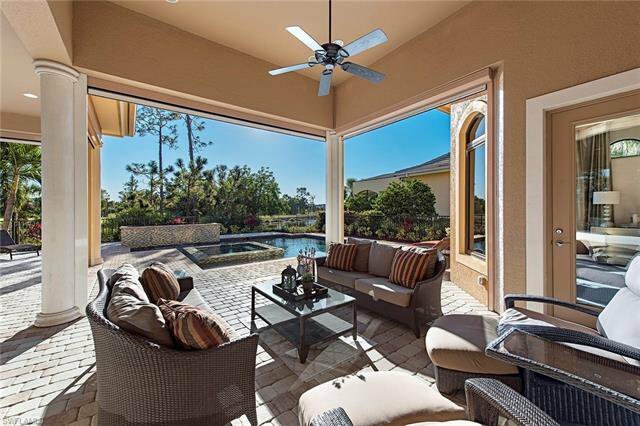 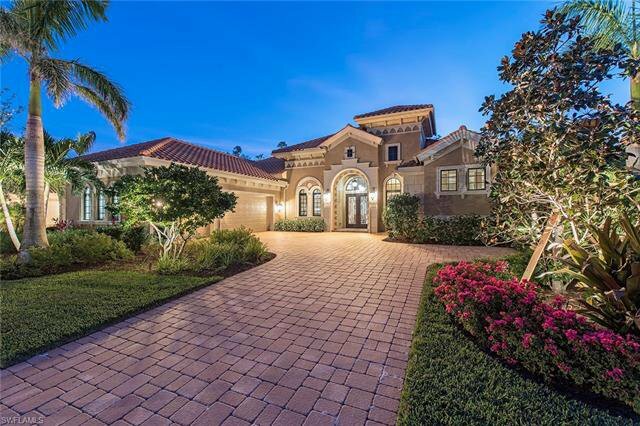 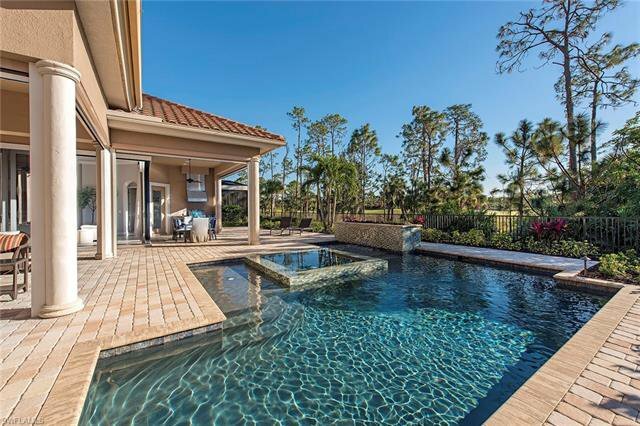 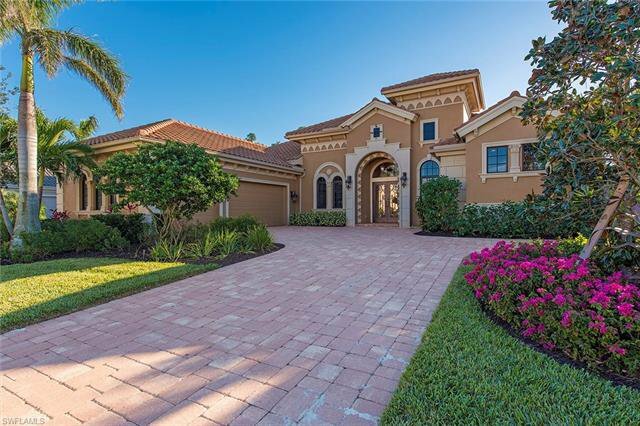 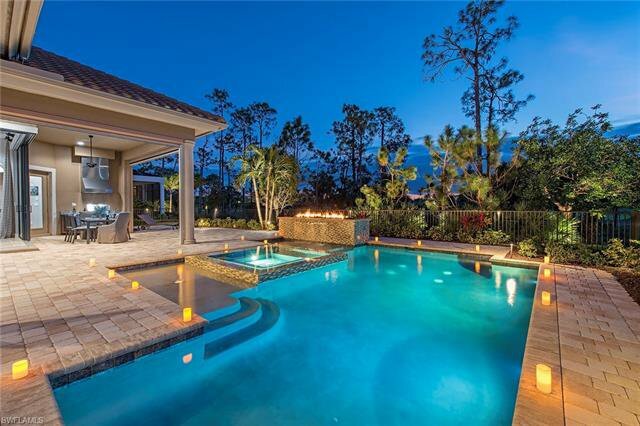 Four bedrooms, five baths, a three-car garage and a den with an expansive lanai. 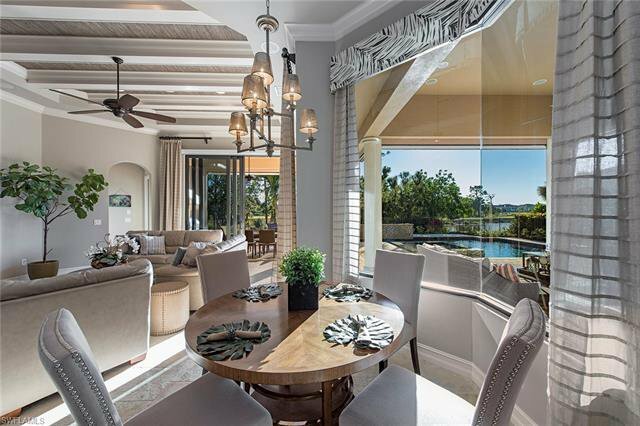 Enjoy southwestern views of the golf course and lake from nearly every room. 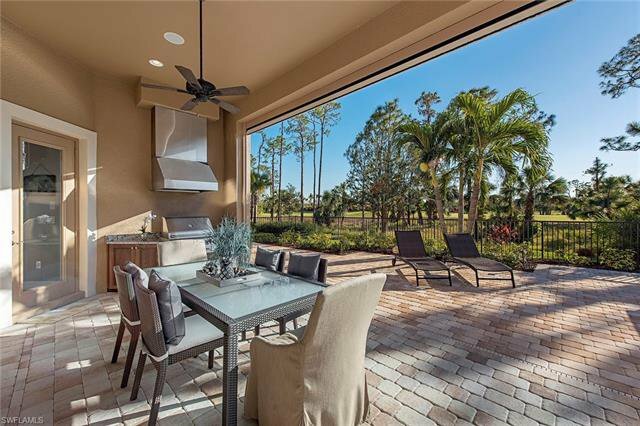 Entertain effortlessly on your private open lanai featuring phantom screens, mosquito spray system, surround sound system, full kitchen and dining area, salt water gas heated pool and spa and unique fire and water feature. 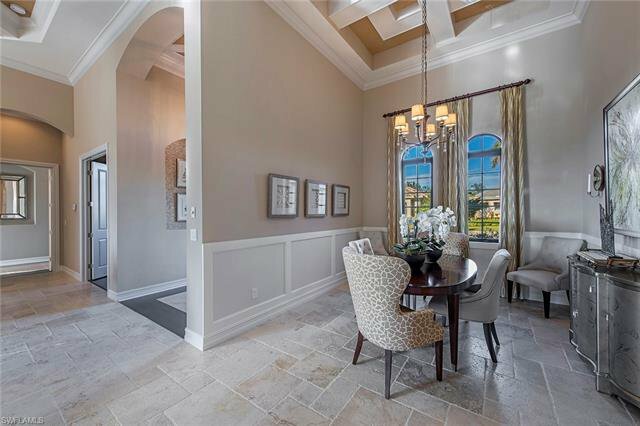 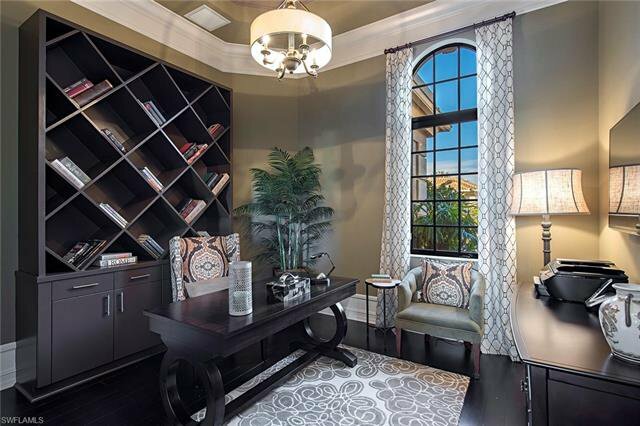 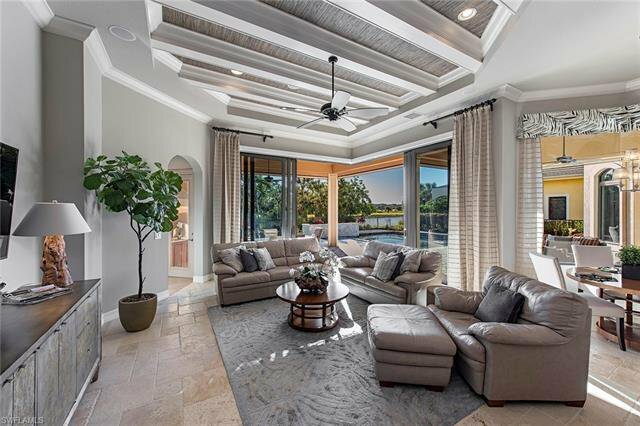 Designed by SoCo Interiors, every inch of this 3,490 square feet Ponte Vedra II floor plan has been crafted with luxurious detail including crown molding, volume coffered and tray ceilings, exquisite wall detailing, updated lighting, French doors and wood, carpet and tile flooring. 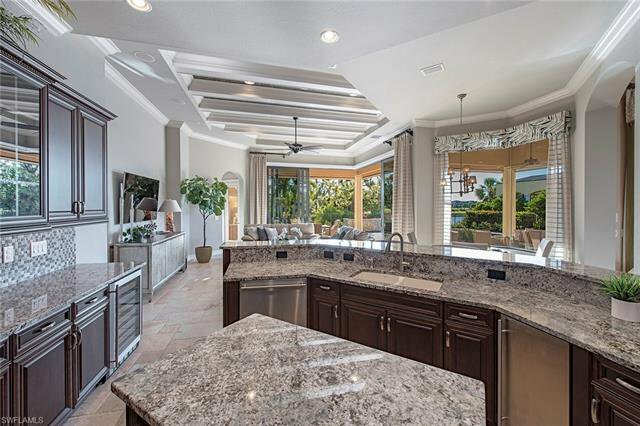 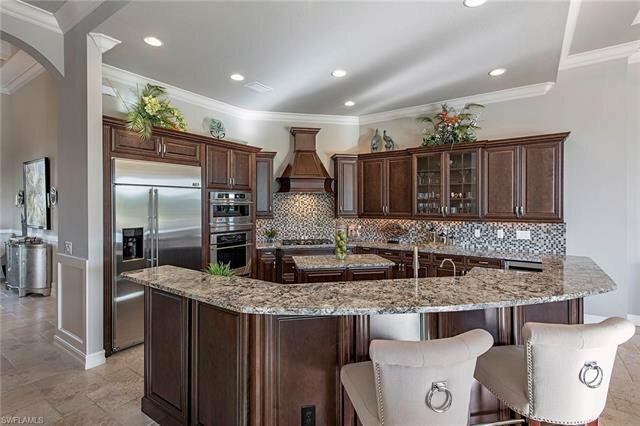 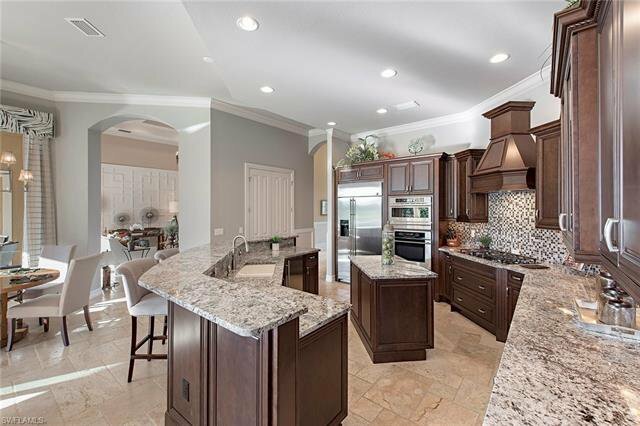 The open concept kitchen boasts granite countertops, light cabinetry, mosaic tile backsplash, an island, large pantry, wine cooler and stainless steel appliances including a gas cooktop and a wall oven, microwave and warming drawer. 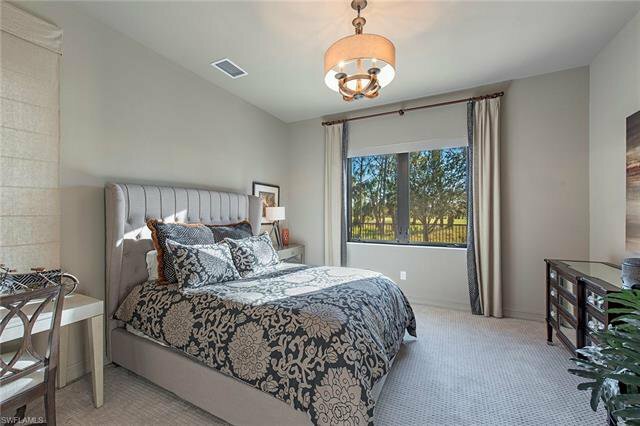 The Vitex security system, fenced-in backyard, solar tinted windows, impact glass and the guard gated community of Fiddler’s Creek create a very private setting. 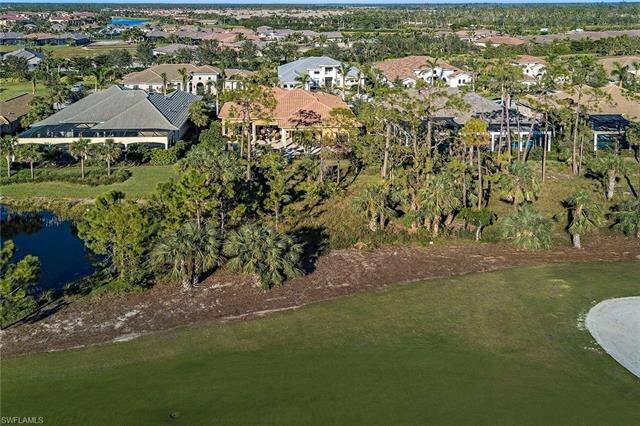 Golf, social, and beach memberships are available.